At Black Belt USA, you can train in authentic Muay Thai and Tae Kwon Do. 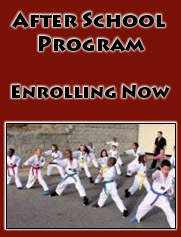 Students strive to develop both body and mind through professional martial arts instruction. Since 1992, Grand Master Dan King and Master Dr. Ying King have been teaching Muay Thai and Tae Kwon Do in the Charlotte area. Hundreds of lives have been changed by the King's gentle discipline, unceasing patience and endless motivation. Muay Thai is a traditional art of self defense from Thailand which has been handed down through generations for over 2000 years. Today, Muay Thai is the national sport of Thailand and the most influential style in international kick boxing and for MMA striking. Often referred to as "The Science of Eight Limbs", Muay Thai employs techniques with the hands, feet, elbows, and knees extensively. Unlike many other martial arts, Muay Thai is specifically designed to promote a level of fitness and toughness required for MMA and ring competition. Tae Kwon Do is the most popular of the Korean martial arts and is the Korean national sport. It is also one of the world's most commonly practiced martial arts. In Korean, derived from hanja, Tae means "to kick or destroy with the foot"; Kwon means "to punch with the fist"; and Do means "way" or "art". 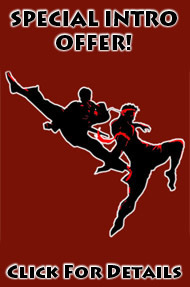 Hence, Tae Kwon Do is loosely translated as "the art of kicking and punching" or "the way of the foot and the fist."